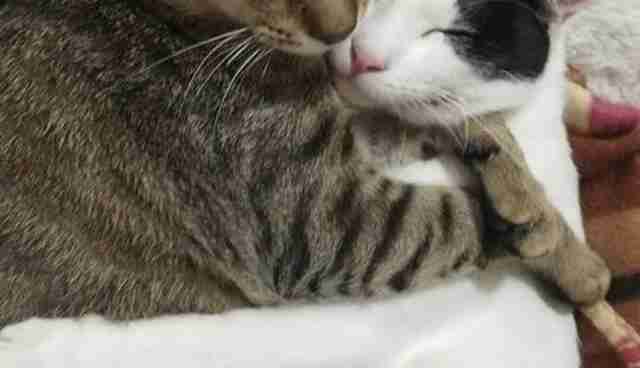 For three cat siblings, being separated from one another was simply not an option. 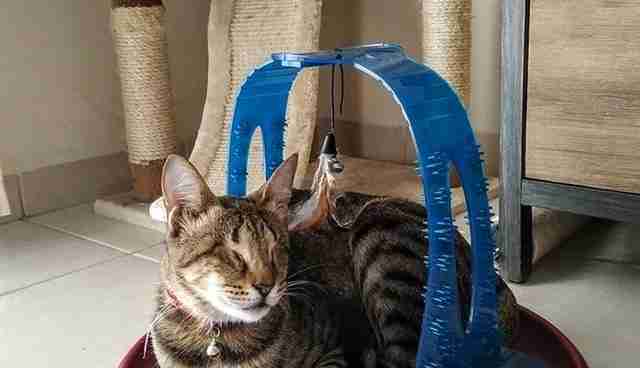 Just before Christmas 2014, the three blind cats were found alone in a warehouse in Dubai. They had been abandoned. 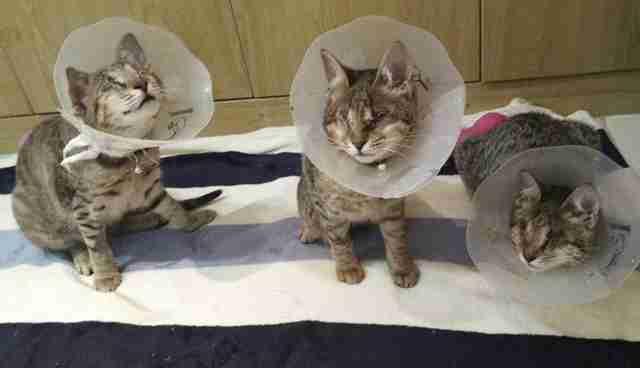 Even more saddening was the fact that all three cats had lost their eyesight due to not getting treatment for the cat flu that plagued them. 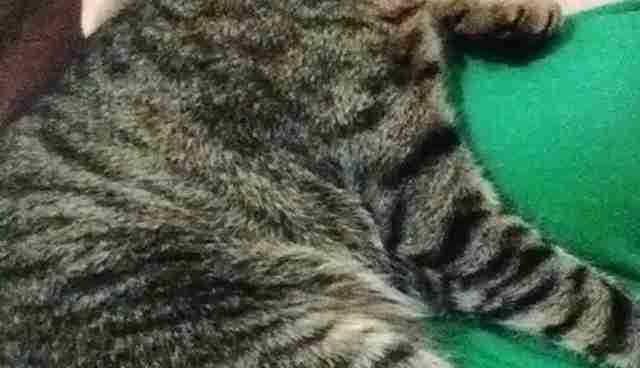 Thankfully, all three cats were rescued. But their journey wasn't over yet. Blue, the sole male, was placed in a temporary foster home. However, he just couldn't handle being away from his beloved sisters, Meadow and Little Willow. Although he couldn't see them, he knew their presence well enough to feel the ache of their absence. 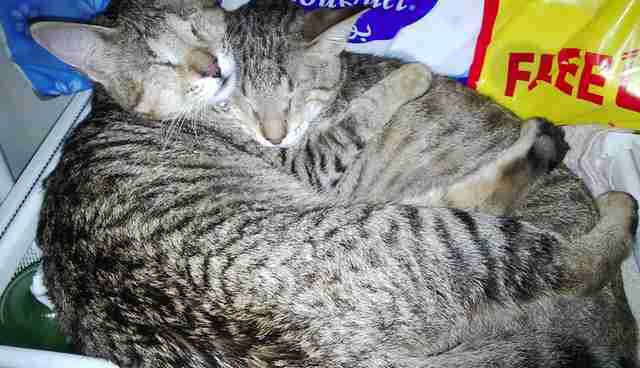 "The poor confused kitten cried all night looking for his sisters and the familiar smell of home," Catherine Magno, who's now the proud "mommy" of all three cats, told The Dodo. Blue was quickly reunited with his sisters and once again comforted by their presence. However, the man who had found them was unable to keep them permanently and sought a forever home that would take in all three siblings. 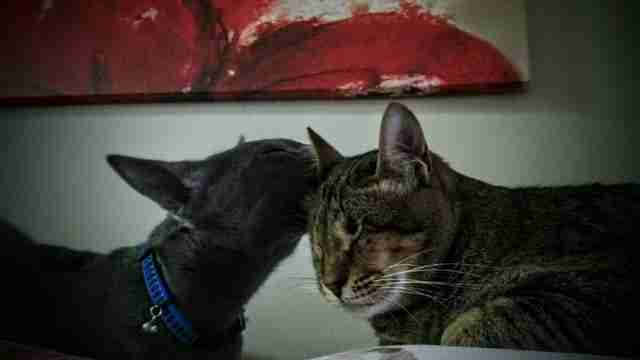 That was how Magno, who also lives in Dubai, came across the cats and their story through a local rescue on the Internet. "I remember reading through [online comments] ... sharing in the fear and recognizing the expected extra responsibility in caring for special needs animals," Magno said. She had also just adopted her first rescue kitten a few months previously and was worried about overwhelming her new cat with three even newer additions. "But their story touched my heart so much," Magno said, noting that she initially considered taking home two of the cats, since another woman offered to potentially adopt Meadow. "But I couldn't bear to have them separated. What's another one, right? So I took all three." 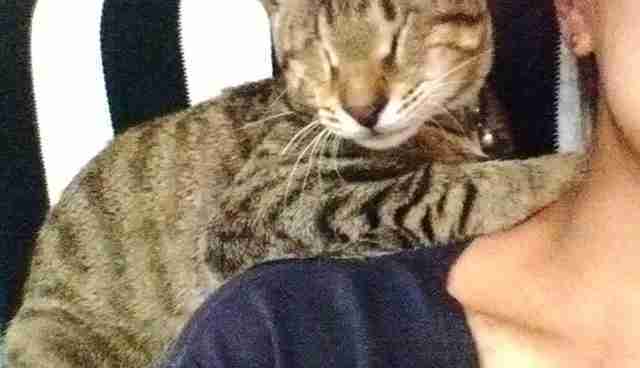 When Magno took the cats home in February 2014, their eyes were in dire condition - infected, inflamed and leaking with pus. 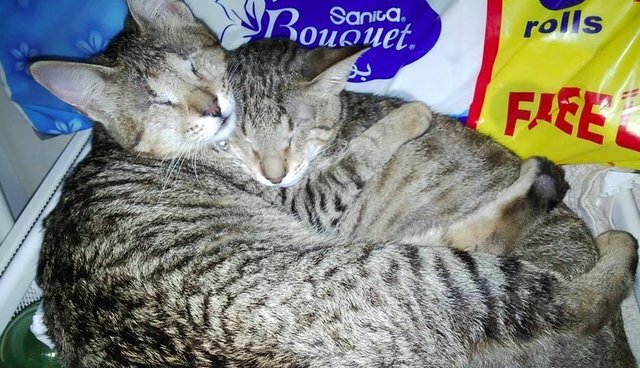 The kittens needed surgery to remove their eyes entirely and Magno made sure to get the medical care they needed right away. 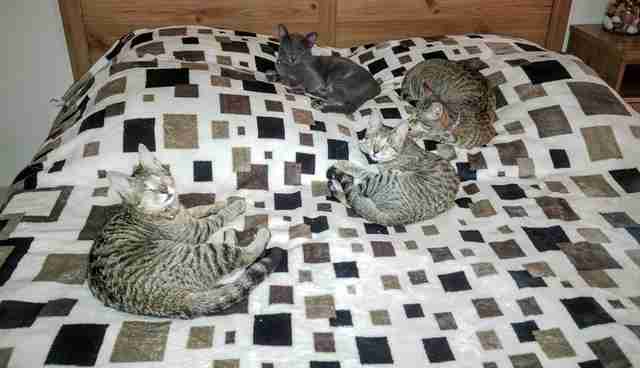 The three cats took awhile to adjust to their new lives and their new home after their surgeries. Meadow was initially the "moodiest" and most antisocial out of the three, Magno said. Blue, the biggest out of his siblings, was the most curious and tried to figure out ways to escape the temporary enclosure Magno had set up for the cats in her home. "And then there's Little Willow," Magno said. "She's my little princess, the runt of the litter. She was the grumpiest after the surgery and cries the loudest when she doesn't sense you." 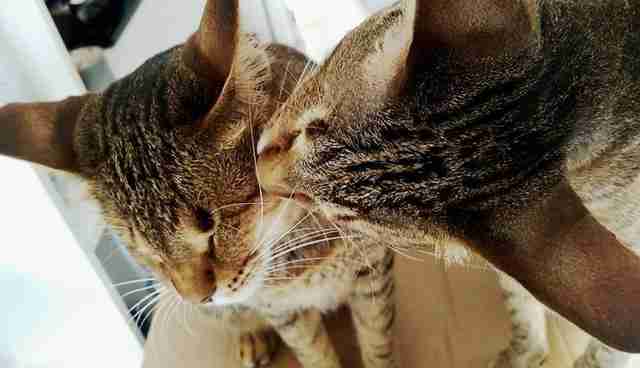 However, all three cats quickly learned their way around Magno's apartment, using their whiskers and sense of smell as guides. "They also quickly memorized where every bit of furniture is, jumping at just the right height to get onto the kitchen counter, or the bed or the bookcase," she added, saying that she couldn't stress enough how intelligent all three cats are. Out of the three siblings, Magno said, Blue has the most precise senses and winning a game of hide-and-seek with him is impossible. Blue is also particularly close to Meadow, whom he loves to groom and snuggle with regularly. Little Willow, on the other hand, prefers more human interaction. 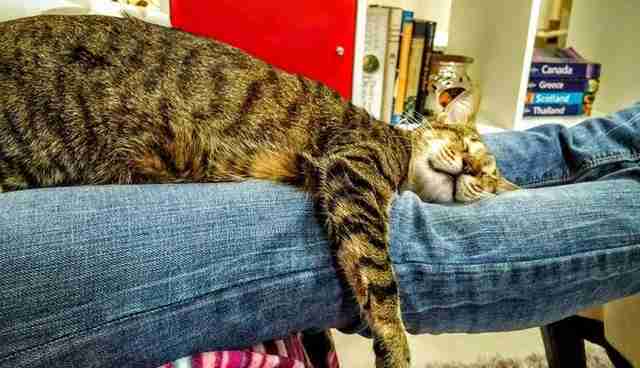 "She likes to follow me around the apartment while I get ready for work and rubs her head against my leg to bid me goodbye," Magno said. 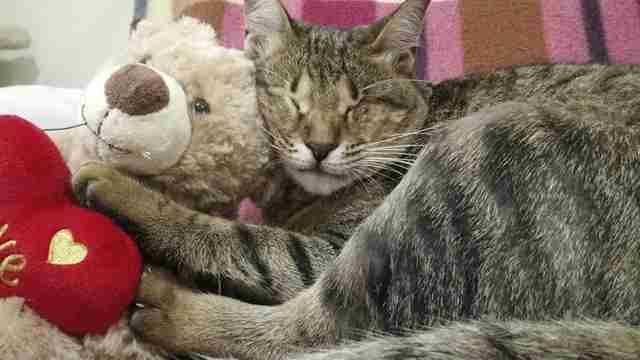 "She also prefers to sleep next to me every single night," she continued. 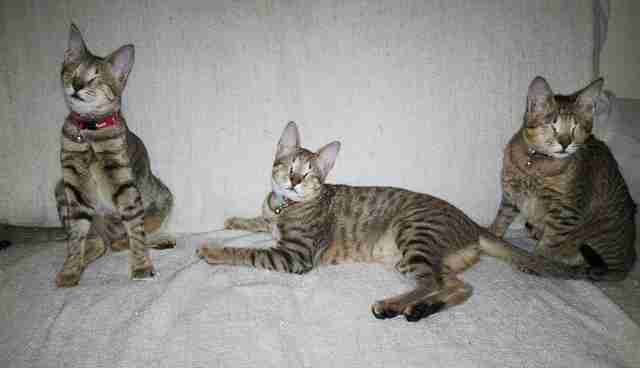 The three cats are all now roughly 19 months old and are loving their lives together as a solid family unit. "They each have their own personalities," Magno said. 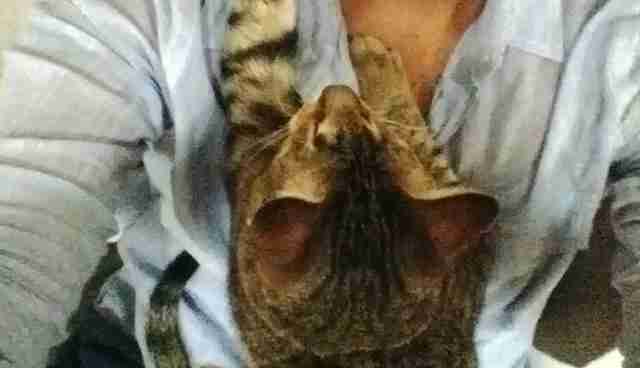 "But [they're] equally affectionate and wanting constantly to be by your side." 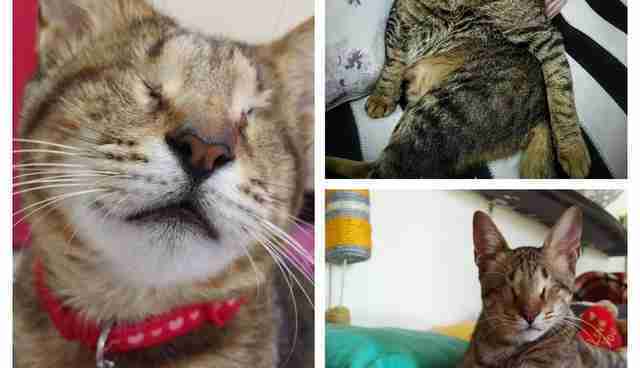 You can keep up with these three blind cat siblings on Facebook.